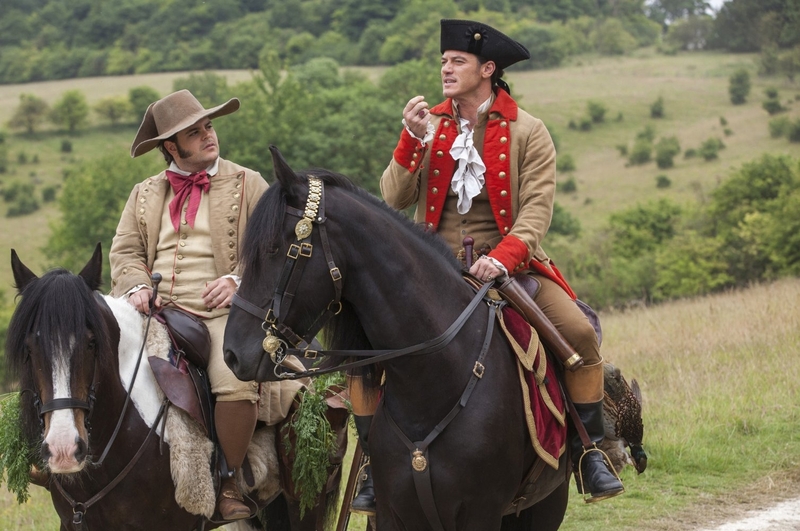 Beauty and the Beast made a lot of money this weekend. Just last year, Batman v Superman set a record for the most amount of money grossed for the opening weekend of a March release - domestic totals only. It took in $166 million. 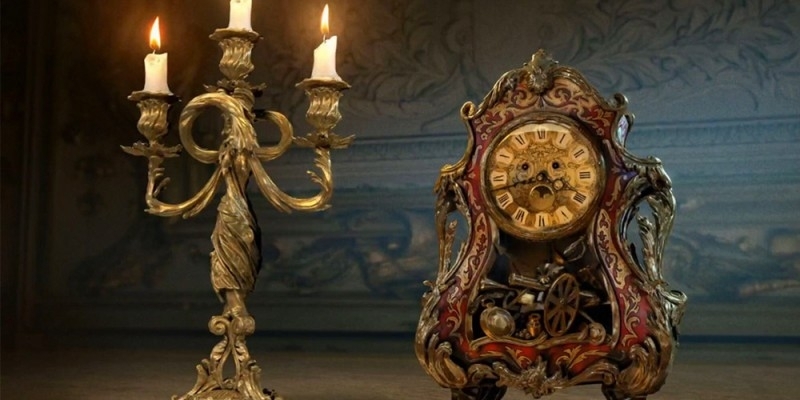 Well, that record has just been beaten, as Disney's remake of Beauty and the Beast took in $174.75 million this past weekend. That's not just inching over the finish line; that's blowing by it. 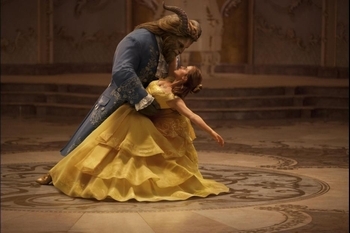 $174.75 also puts Beauty and the Beast 6th all time when it comes to domestic opening weekends. The movie also took in over $182 million overseas, bringing its total opening weekend gross to approximately $357 million. For comparison's sake, the original film grossed $425 million worldwide - after you factor in its two re-releases and not accounting for inflation. For more recent comparisons, last year's The Jungle Book took in $103 million domestic in its first weekend, Cinderella grossed $68 million, Maleficent made $69 million, and Alice in Wonderland brought in $116 million. That puts Beauty and the Beast $50 million higher than its closest competitor, and it also has a larger take than both Cinderella and Maleficient combined when just looking at the opening weekends. As for what that means for the future, Beauty and the Beast will almost undoubtedly be the first $1 billion film of 2017. It will also reaffirm to Disney that remaking its classic animated films is a solid business decision - as if that was needed. The company has already announced remakes of The Lion King, Aladdin, Dumbo, and The Little Mermaid, and probably has others in the works that are still waiting to be announced. Your take away? Get used to these, whether you like them or not. I really dont get it, was anyone excited to watch this? Never seen anyone care about it. "You dragged me out to see that horrendous BvS last year, this year we're seeing something I want to see." Nostalgia. Stockho...Romance. Spring. Do not underestimate these cocktails. I liked it well enough. I mean, I was bored, but more of because you already knew everything. The changes they had were actually pretty cool. Of course it did well, it's one of the most beloved Disney movies being remade. It's basically the female equivalent of launching a new Batman movie. And since we're only just starting to remake these there are going to be more people wiling to run out opening weekend, so it makes sense that it would beat out BvS too. The Lion King will do just as good if not better, the Little Mermaid won't do quite as good but better than the other live action movies, and then Aladdin could go either way (but probably still better than most of the previous ones)... after that I think the Disney remake fatigue will start to set in. It's basically the female equivalent of launching a new Batman movie. But without as much killing and terrible plot? I mean a new Batman movie should never have those things but you know, things happen. Yeah...we've barely scratched the tip of Disney shitting out these live action renditions. Looking at the list of upcoming projects, my soul wept. It also shouldn't just be a live action remake of the Batman cartoon with an extra 40 minutes tacked on... then again a good Animated Series episode could make for a better movie that most of the ones we have. It dawned on me the other day why I am not a fan of Disney movies. They are not original. The live-action remakes of their animated movies really drive home that point. Now remember these animated movies are not original stories either. They are neutered retellings of public domain fairy tales. Of course, we could get into the hypocrisies of Disney zealously guarding their copyrights claims on these animated movies. That is a different subject. Long story short, I really didn't think that the animated movie was that great. It had a few catchy songs. I barely remember anything from it. Something about The Beast have to find someone to love him before the rose dies. It really wasn't that interesting. So, Disney won't get my money...Until, Guardians of the Galaxy Vol. 2 comes out. But it would be a fun subject! Though, stories like Cinderella have a bunch of different versions. Snow White too. Disney's animated take is as good as the next. Typically, the live action remakes have had something new to add. I saw B&B today and it stayed closer to the animation than just about any other live film of their cartoons I've seen. An exception is that some songs are added. I hear some from the Broadway show, others new for the film and they are, every single one, forgettable. There is nothing new here plot or character wise. I snoozed during the opening. Enjoyed the cgi. The story climax is as moving as ever. I would write the voices are weaker by far, not just singing but even speaking, than the animated version.